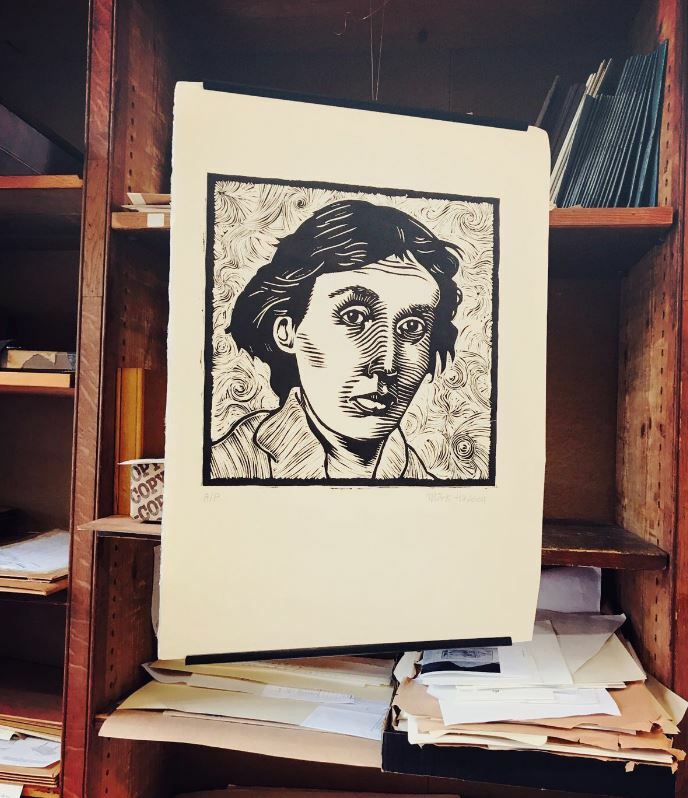 Early in 1917, Virginia and Leonard Woolf walked into the Excelsior Printing Supply Co on Farringdon Road and bought themselves a printing press. 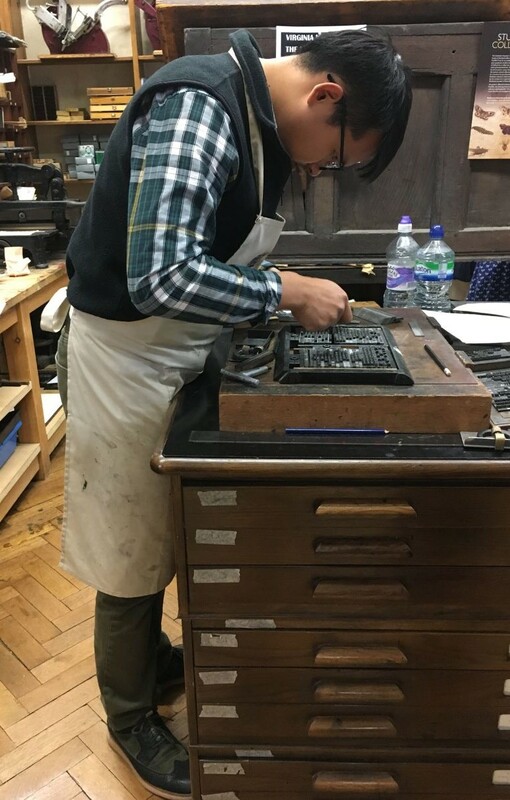 The press, a small handpress which they installed on a table in their dining room in Richmond, came with instructions and some cases of type. The whole lot came to £19.5s.5d. That May they began work on their first publication, Two Stories (one by Leonard, one by Virginia), with Virginia setting the type and Leonard operating the press. Twenty-one years later, when Virginia finally withdrew from the company, the Hogarth Press had published 440 titles, including work by T. S. Eliot, E. M. Forster, Katherine Mansfield, Vita Sackville-West, Freud, and H. G. Wells, not to mention much of Virginia’s own most significant writing. 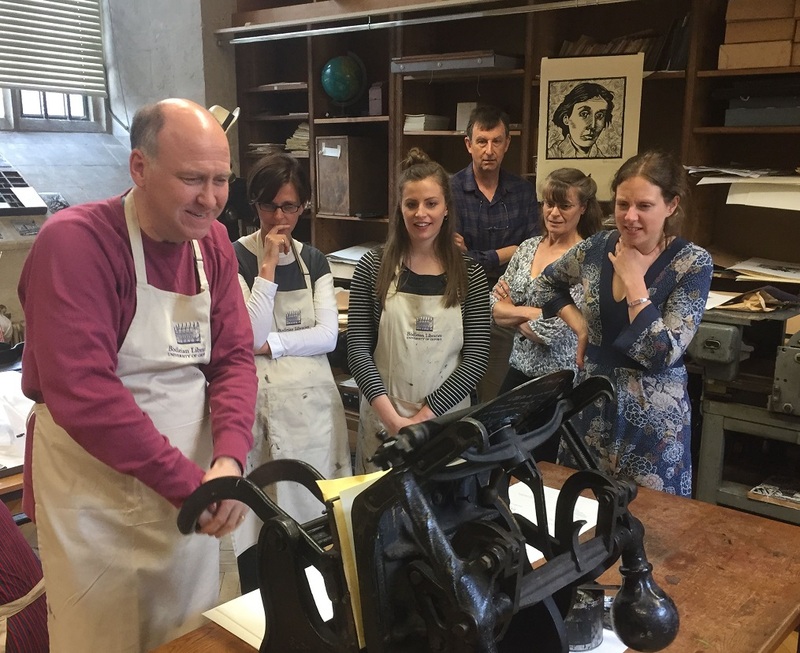 To celebrate the centenary of the Hogarth Press, then, it seemed like a good idea to think about the role that printing played in shaping Woolf’s writing. 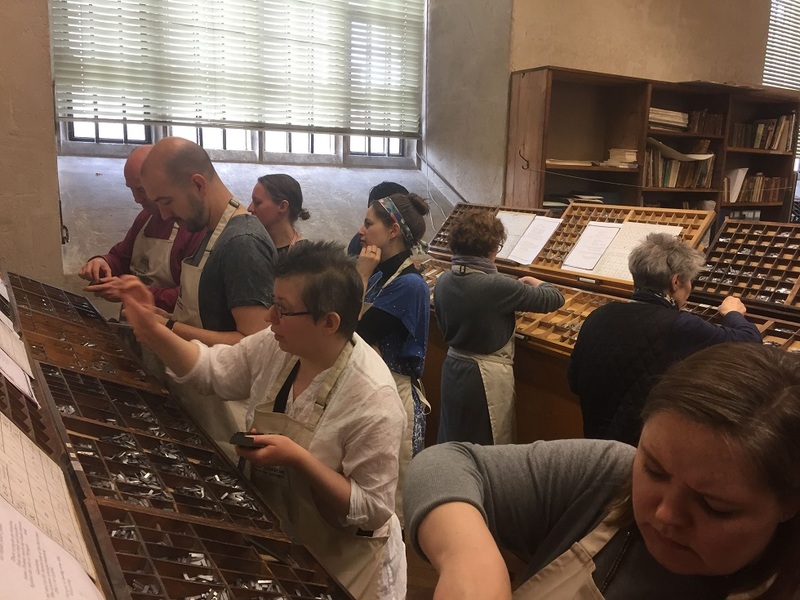 And since the Bodleian Bibliographical Press is equipped not only with the kind of handpress the Woolfs used for their first publications, but also with the same typeface, we had an ideal opportunity to put ourselves into Virginia’s shoes for a day. 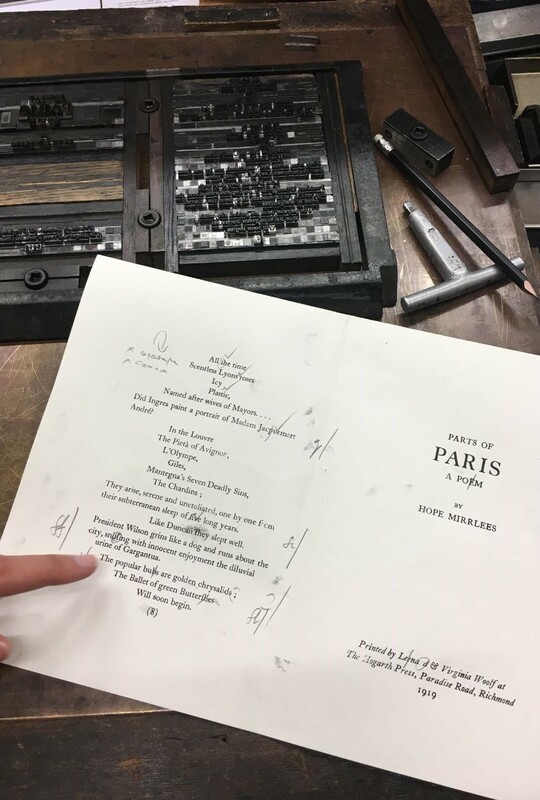 One of the earliest Hogarth publications was Hope Mirrlees’s Paris: A Poem, dated 1919 (or rather 1916: Virginia placed the final ‘9’ upside-down and didn’t catch the error until after printing, correcting it in pen in all copies). It is a wonderful and unjustly overlooked piece of modernism, and with its wild typography – different alignments, passages in caps and italics, a block of music inserted into the text – posed a considerable challenge to Virginia’s recently-acquired skills as a typesetter. 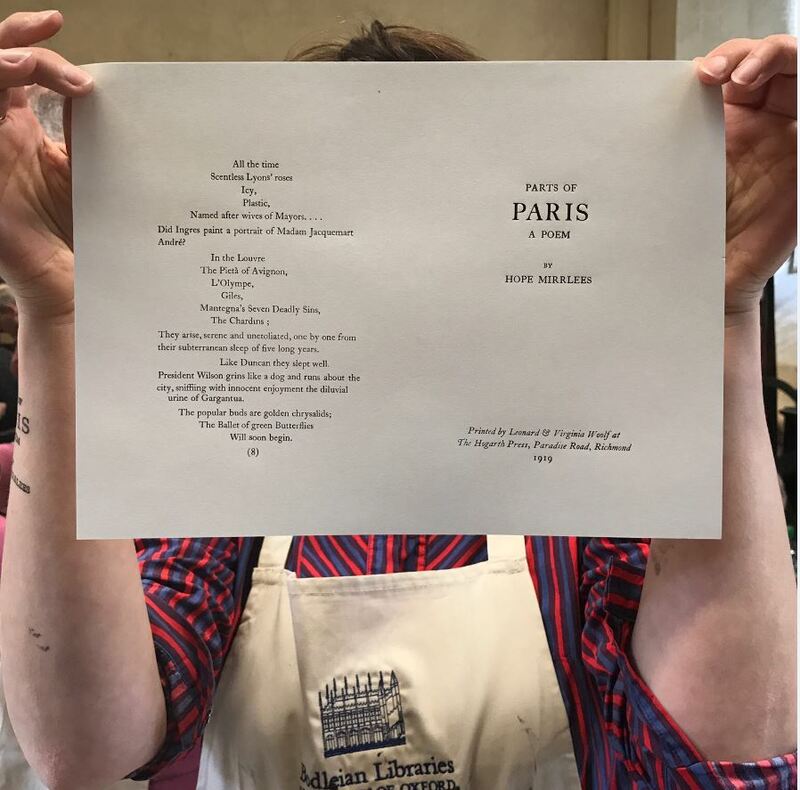 Just the thing then for a public print-a-thon.Working in half-hour shifts, our team of printers – from absolute beginners to advanced setters – set out to print as much of Mirrlees’s poem as we could in a single day. Breaking for lectures by Dr Nicola Wilson (Reading) and Dame Hermione Lee (Oxford) about the Woolfs and the Hogarth Press, we ended up with a respectable eight pages, about a third of the poem. A useful and hard-won insight.